Orkney-based Scapa distillery has released its first peated Scotch whisky, no-age-statement (NAS) Scapa Glansa single malt. The smoky expression from the Chivas Brothers-owned distillery was initially aged in first-fill American oak casks before finishing in casks that previously held peated whisky. Its name stems from the Old Norse for ‘shining storm-laden skies’, a nod to the temperamental weather that frequents the island. Bottled at 40% abv, Scapa Glansa is available now in duty free stores for around US$60 (€53/£46) per litre bottle, as well as from select retailers priced at around £45 for 700ml. 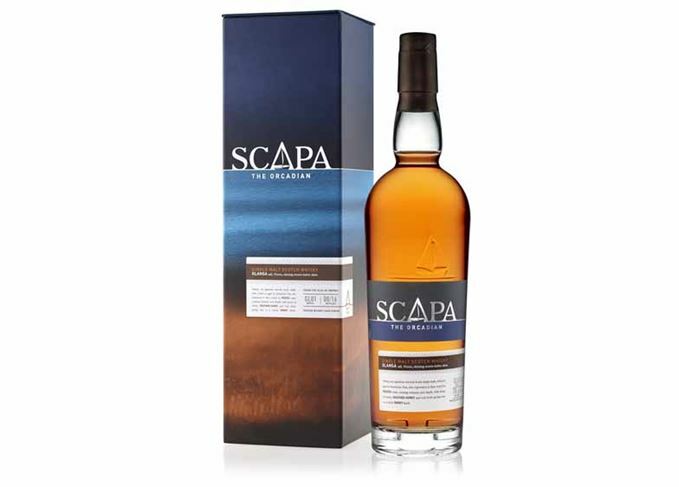 Scapa Glansa is the second permanent release from the distillery since Chivas Brothers revealed intentions to relaunch the brand in July 2015 with the release of Scapa Skiren. Chivas Brothers has since pulled Scapa 16 Year Old, once the distillery's only permanent expression, from its portfolio. Glansa is the second NAS release from the island distillery this year, following the limited edition launch of Scapa Jutland back in June to mark the centenary of the Battle of Jutland. The unveiling of Scapa Glansa ties in with the start of the brand’s #ScapaSpirit series, a photography collection featuring three Instagrammers who will use their photos to ‘reveal the true spirit’ of Scapa distillery. Scapa distillery has released a single malt to commemorate the Battle of Jutland’s centenary. The Danish photographer’s pictures capture the essence of the distillery and its island home.